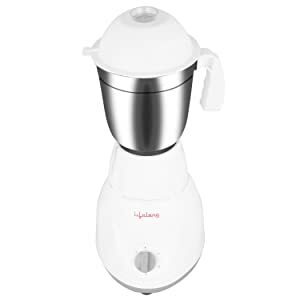 The appliance comes with a 3-speed setting that makes blending and grinding easy allowing you gradually increase the speed without overloading the system. The mixer also bears an incher for momentary operation in case you want to do the grinding in your own rhythm. 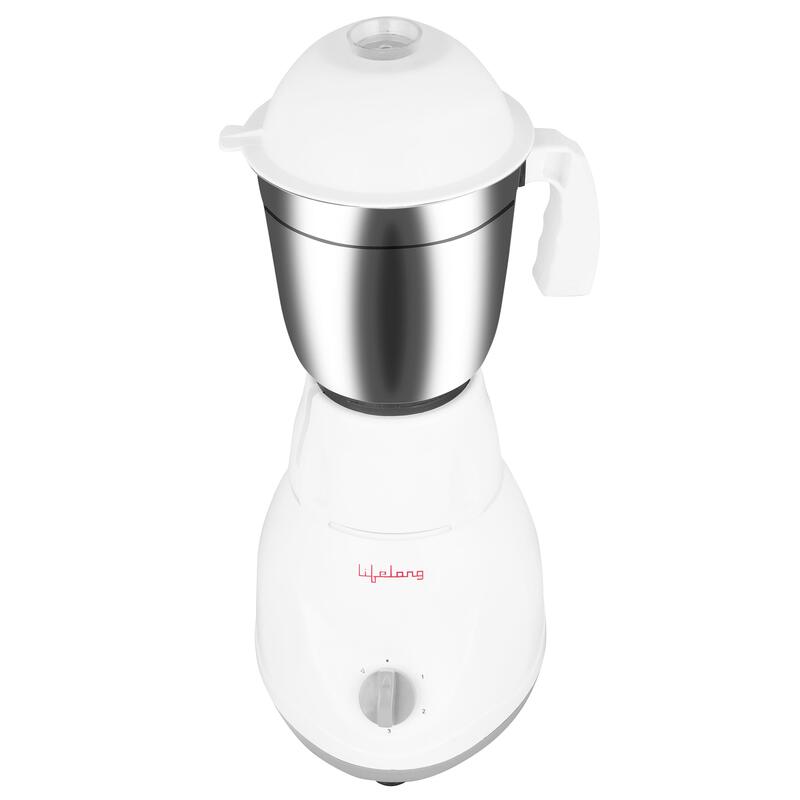 Lifelong power pro 500-watt mixer grinder comes with 3 highly durable and extremely strong jars. These jars have PP lids to hold the contents properly in place and intact. So even if you blend any sort of liquid in the jar, it won’t come off or spill due to these extra tight lids. The set of jars include 1.25 liter liquidizing jar, 0.88 liter multi-purpose jar and a 0.3 liter chutney jar. The blades fitted in all the jars are made of premium quality stainless steel. No matter how thick the consistency of your blending subject might be this mixer is resilient enough to give the best results. The jars in this Lifelong power pro 500 watt mixer grinder are designed with easy grip handles to ensure easy handling. These handles are strong enough to hold ingredients in heavy quantities in the jar without breaking. The Lifelong power pro 500 watt mixer grinder comes with vacuum feet for ease of operation, preventing it from sliding. These anti-skid feet keep the device in place for effective working; these feet don’t allow the grinder to move around while you’re using it. It creates a tough vacuum with the platform that ensures a quick and easy motion. Powerful turbo motor for continuous grinding – 500W turbo motor that gives you the grinding experience even with tough ingredients like black whole gram (dal) for preparing tasty vadas and dosas.